After launching the iBall Slide Enzo V8, homegrown electronics brand, iBall today announced the launch of its premium tablet- the Slide Brace-XJ. The tablet is priced at Rs 19,999, but it offers mediocre hardware on board. The tablet packs a 10.1-inch display to the front and runs Android Nougat out of the box. iBall has also threw in support of 4G VoLTE to the tablet, which makes it stand out from the crowd as there are not many tablets available in the market with 4G support. Also, it packs in dual speakers and is backed by a massive 7800mAh battery. The iBall Slide Brace-XJ will be available in online stores in a single gold colour option. Another decent option added by iBall is the USB-A port, meaning you can connect accessories such as keyboard, mouse and pen drives to the tablet. Especially, for storage hoggers, it will be a useful option as they can carry a pen drive with them all the time to access data. 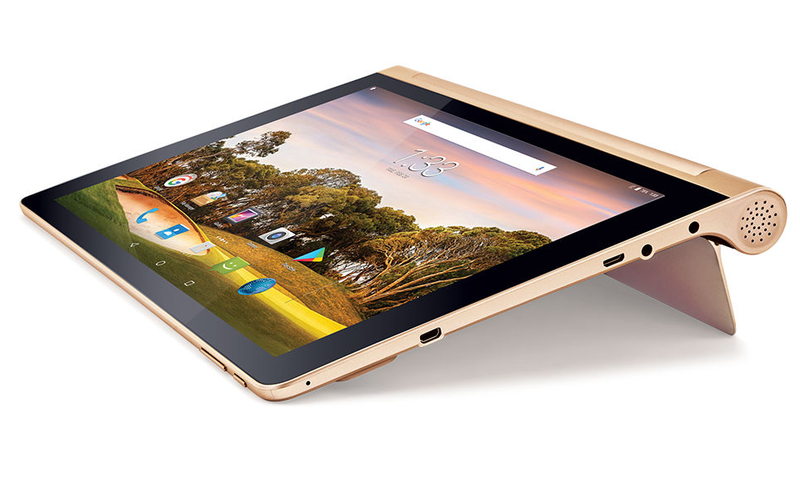 The tablet comes with 32GB of onboard storage, which can also be expanded up to 64GB with a microSD card. Besides 4G LTE and VoLTE support, the Slide Brace-XJ offers Wi-Fi 802.11 b/g/n, Bluetooth 4.0, OTG via micro USB port, micro HDMI port and as mentioned a USB 2.0 port. Optics include an 8MP rear camera with autofocus support and a 5MP selfie camera. The tablet boots Android 7.0 Nougat OS, which is sort of dated at the moment as most of the manufacturers are releasing devices with Android Oreo out of the box. Fuelling the tablet is a 7800mAh battery, and the company did not mention any fast charging support, but most probably it lacks fast charging support and will take ages to charge from zero to 100%. The tablet has a 10.1-inch display with a resolution of 1280 x 800 pixels. Under the hood, it is powered by the 1.3 GHz octa-core ARM Cortex A53 processor, paired with 3GB of RAM. Graphics in the tablet will be taken care by the Mali-T720 GPU.